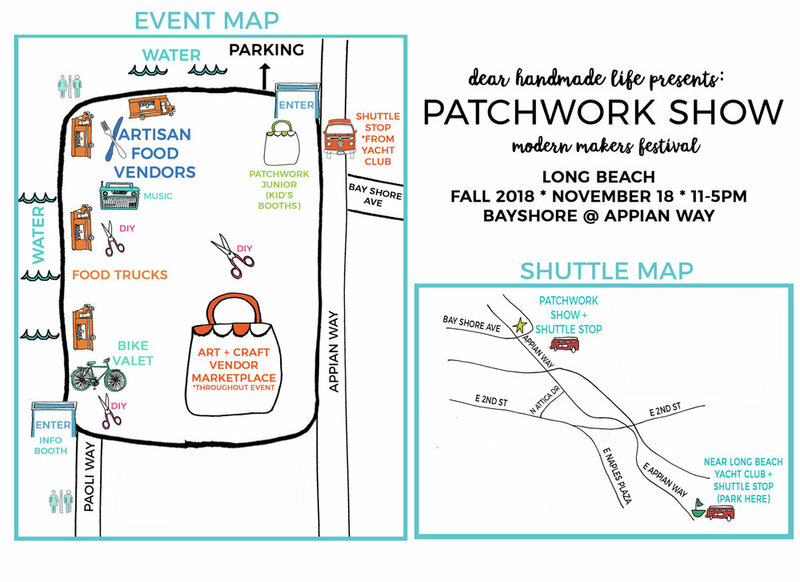 It's that time of year again...PATCHWORK SHOW in Long Beach! Come join us and 200+ local makers and artists this Sunday for a fun and awesome day of shopping, crafts, food trucks, and music! We will have lots of new dainty jewelry plus some of your faves. Can't wait to see you! Back at Patchwork Show in Long Beach This Sunday! We will be at LA Weekly's The Essentials in DTLA on February 20! We are so excited to be part of The Essentials LA! Although it is a food event, there is a little section called the Artisan Village where we will be selling many of our pieces! LA Weekly is hosting this event and it will feature over 60 of the BEST restaurants in Los Angeles. Sample delicious bites and sip on some wine from a few great wineries that will be there as well. Tickets are still available and we have an even better deal right here! Sale price is only good until 2/14, so purchase today ($50 off 2 tickets)! Can't wait to see you all! We are so excited to be a part of yet another Unique USA show! This time we will be at UniqueSF at Fort Mason, September 19 & 20. Stay tuned for more details! Pink hearts, red roses, & sweet candy...it's that time of year again! Valentine's Day is just 11 days away and we're having a SALE! This delicate piece is also now available here! Don't forget to put your orders in by Saturday 2/7 to receive it on time for the romantic day! Use code: LOVE20 at checkout. Hey there! Our Fall/ Holiday Collection is now up! There are so many new pieces that I just LOVE! Lots from this collection has more of a simplistic antique vibe...something that this Fall season has inspired me to create. We also did an amazing photo shoot a few weeks ago at Crystal Cove with none other than Desi and Tammy from Dez & Tam Photography. Amazing show, amazing people, amazing weekend! ELEVEN more days til Unique LA! This means super long nights and lots and lots of Vanilla Soy Lattes! We will have a bunch of new pieces at the show, and we will be running a promotion/ sale that you won't want to miss! TABLE 37 is where we'll be! It is right in front of the free photo booth pics from Oh! Snap Studios. Hope to see ya there!! Woohoo! Cherise's Pieces is finally live! As this is my very first post on the blog, I'd just like to say thanks to everyone who has supported my shop and what I do. This definitely is a great passion of mine that I've been lucky enough to succeed at. Etsy has been a great start to this journey, and hopefully ShopCherisesPieces.com will be even better! Thanks for stopping by!